Orange lips! 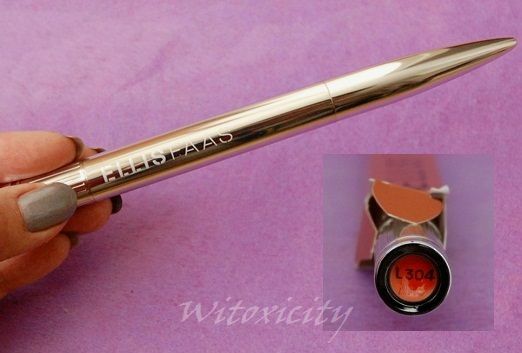 The closest thing that I have to an orange-coloured lip product is this: ELLIS FAAS Glazed Lips L304, which I received from the folks at ELLIS FAAS a while back. As you might already know, ELLIS FAAS Glazed Lips are essentially lipglosses. They are pigmented and transparent, which seems like an oxymoron if you think about it, but you know what I mean, right? If orange-coloured lipsticks seem too bold for you, then I'd suggest trying a lipgloss instead as the orange effect is subtler. On me, it looks coral. it's a lovely orange! it looks very good on you! Wow! Orange looks good on you my dear! Thanks, Jeanie. This is really more of a parody coz let's face it, I just haven't got that nose! :D Hmmm, problems with the EF pens? Do you mean the issue with blocked pens? So, you are into orange lips now too, eh? ;) looks good on you. 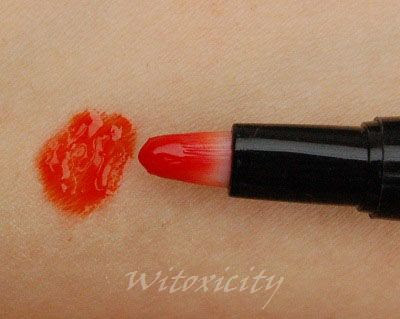 Orange lipglosses would be great alternatives to bright bold orange lipstick like the one I featured in my blog lastweek. I agree...the orange gloss looks great on you. SUPER!! Nice sun glasses too, you look cool!! This post made me laugh ^^. You look very lovely, but I can't help laughing at the diva-ness of wearing sunglasses indoors XD. Now I guess I need it :p I love the color and I think I don't have anything orange in my lip products. I have to fix that soon! !